The new TaoTao Racer 50 Gas Street Legal Scooter is the hottest new products. Imagine riding down the streets of Miami or Fort Lauderdale on this sporty Yamaha R6 Motorcycle replica moped scooter. 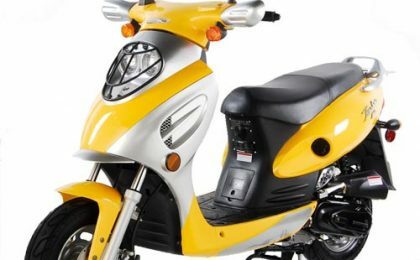 The TaoTao Racer 50 scooter features a durable 50cc engine, enabling it to reach speeds of up to 45mph. Its CVT transmission makes it fully automatic, and dual shocks on the front and rear adjustable suspension make for a smooth ride. 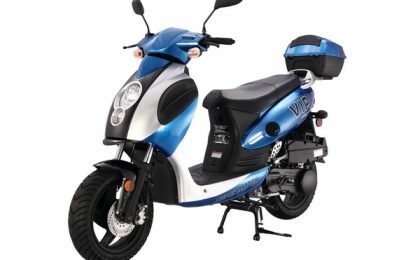 It features an easy to use twist throttle, front disc brakes, rear drum brakes along with a CDI ignition, electric start and a kick start. 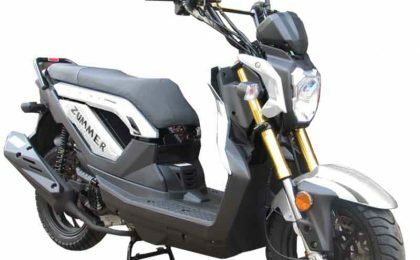 This hot new scooter delivers the maximum power possible for a 50cc with its air cooled, four stroke engine. 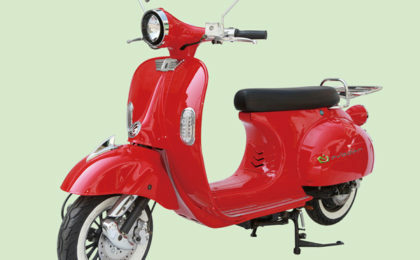 Lastly , this scooter gets up to 100 mpg, saving you a lot of $$$ at the gas pump ! 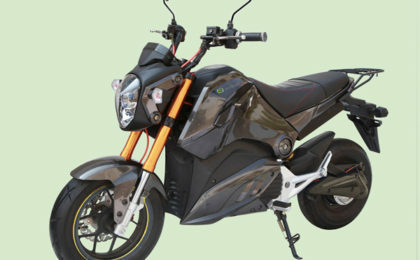 ( We advise using premium 93 fuel ) Our TaoTao Racer 50 scooter is street legal and features headlights, tail light, turn signals, rear view mirrors, horn , speedometer and it also comes with its own unique factory VIN number that conforms with the US Federal Motor Vehicle Safety Standards and Regulations. Get the look of a sports bike without paying an arm and leg. 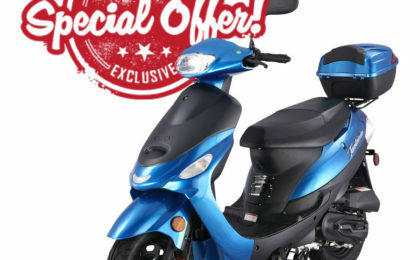 The TaoTao Racer 50 surpasses the standard of 50cc cheap scooters with its aggressive look and reliability.